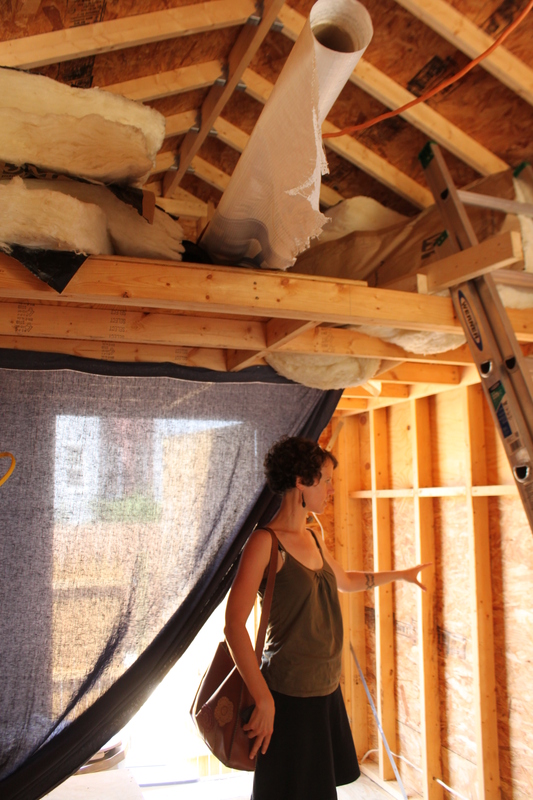 This past weekend was a weekend of tiny house workshops. 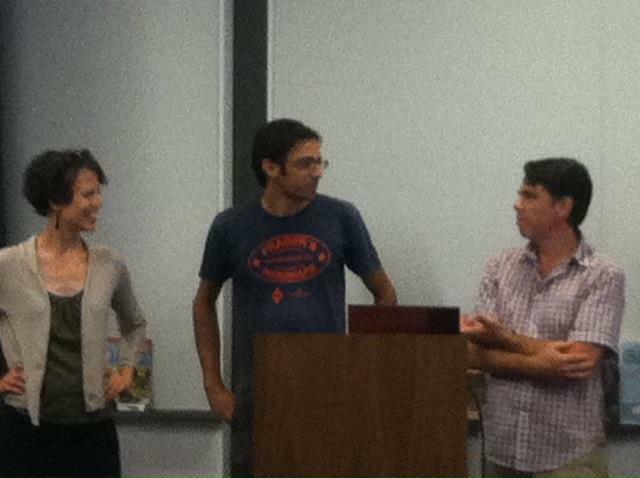 Brian and Lee started off a very hot Saturday morning with a workshop we offered through Knowledge Commons DC. 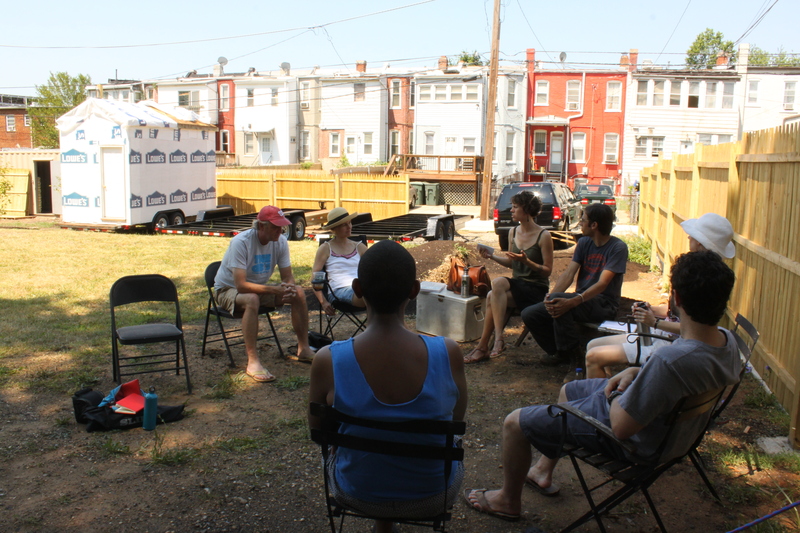 We had fewer participants than expected given the heat and the power that was out all over the city from Friday night’s storms (power is still out across much of the city, including the lot, three days later). 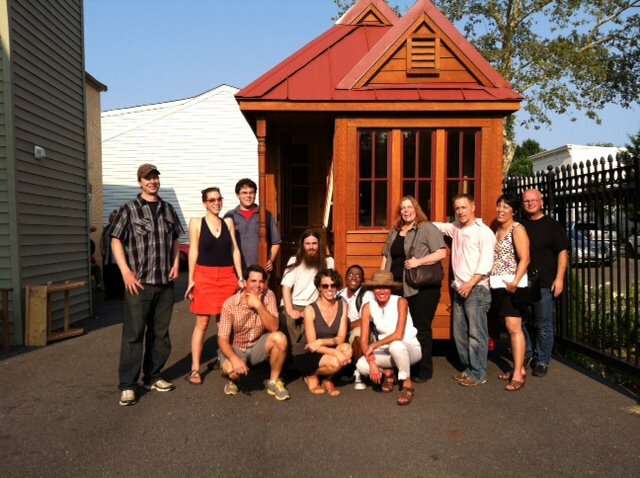 Next, we presented to over 60 tiny house enthusiasts at Tumbleweed’s workshop at the District Architecture Center – the same workshop that Lee attended a year ago when all of this tiny house plotting began! We had a fun and inspiring weekend hanging out with Deek from Relax Shacks and Bridget from Tumbleweed Tiny House Company and meeting other tiny house enthusiasts in the area. We received great feedback from everyone at the workshops, but the best thing about presenting on our projects is that we realize how many other people want to do this as well. This is not just a community of people on the fringes of mainstream society but one of government workers, grandparents, students, teachers, artists – all of them looking restructure and downsize their lives to make time for what’s important to them. It was inspiring to hear everyone else’s creative ideas for their projects and lives.